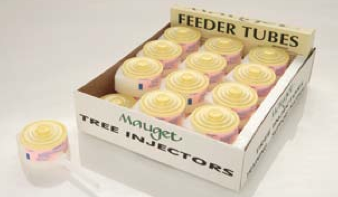 Find out how Tree Preservers can protect your trees from insects, disease, malnutrition and other hazards. Click the button below to learn more. Learn more about the safe, effective, environmentally sound Mauget micro-injection and infusion system. Click the button below to learn more. Thank you for choosing Tree Preservers! 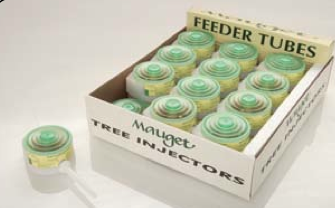 Inject-A-Cide®, containing the insecticide Metasystox-R in a completely enclosed micro-infusion system, is for use on ornamental trees. 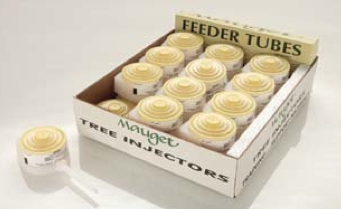 It is especially effective in controlling a large variety of bark beetles and engraver beetles in conifers when in active larval stage. 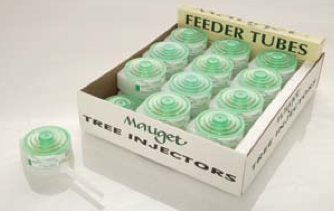 Inject- A-Cide can be used at residential and roadside sites, interiorscapes, exteriorscapes, golf courses, parks, cemeteries and schools. 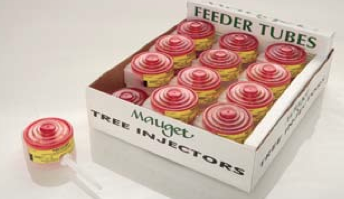 AbasolTM is a special formulation of debacarb fungicide plus abamectin insecticide in a completely enclosed micro-infusion system for use on ornamental trees. 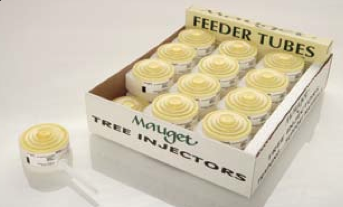 A combination of Mauget’s Fungisol® plus AbacideTM in one application, Abasol provides disease suppression of over 30 pathogens and long-lasting control and suppression of more than 7 insects. 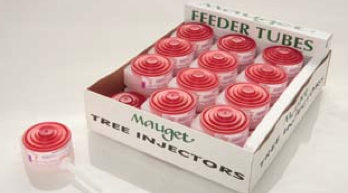 ImisolTM is a special formulation of debacarb fungicide plus imidacloprid insecticide in a completely enclosed micro-infusion system for use on ornamental trees. 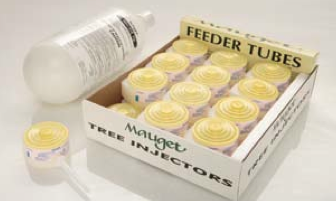 A combination of Mauget’s Fungisol® plus Imicide® in one application, Imisol provides disease suppression of over 30 pathogens and control of more than 20 insects. 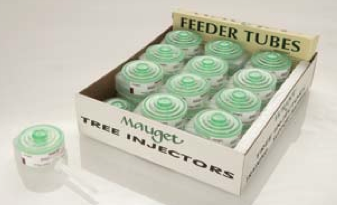 Inject-A-Min® Iron-Zinc is a micronutrient formulation containing water-soluble iron and zinc sulfates in a completely enclosed micro-infusion system for pin oaks and many other tree species growing in non- native alkaline soils. 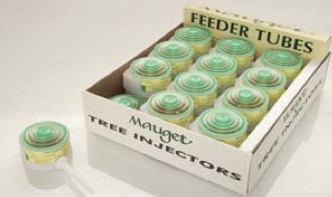 Because the elements are placed directly into the trees vascular system, the benefits of Inject-A-Min Iron-Zinc can be evident for one to five years compared to adjacent untreated trees. Iron and zinc deficiencies are characterized by young leaves exhibiting darker green veins with a yellowing or loss of color between veins. Vigor 53®, a 25% potassium-buffered phosphorous acid in a completely enclosed micro-infusion system, provides potassium nutrition in addition to phosphite technology. 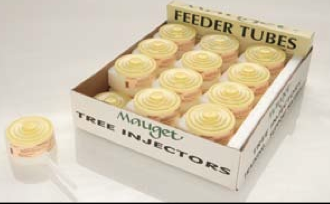 This combination product works well in a total plant health care program that emphasizes natural plant health defense systems. 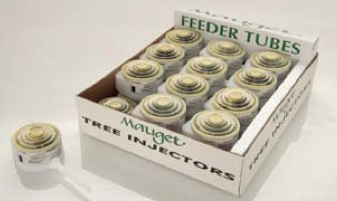 The additional potassium aids in leaf thickening, better stem and root development, and stimulated frost or cold damage recovery. University research has extensively demonstrated the ability of potassium to aid in the recovery of leaf and stem diseases, as well as other stress agents involved in drought avoidance.